Diverse futures highlights opportunities for young people in the UK who are disabled. 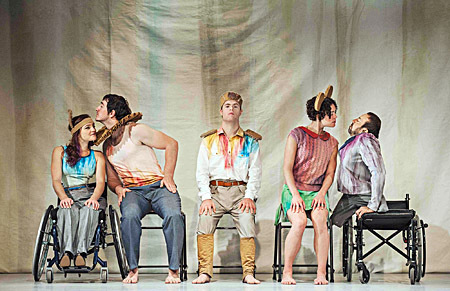 An inclusive place where you can explore careers and pathways in the performing arts. Frazer Smith; Artificial Things by Stopgap, photographed by Chris Parkes; Breathe by Diverse City photographed by Kevin Clifford. We share information about courses, companies and opportunities to help you figure out the next step. Search for a specific opportunity (e.g. drama courses in London) or browse a map of opportunities from across the UK and zoom in on your local area. Get inspired by stories from professional artists who are disabled. 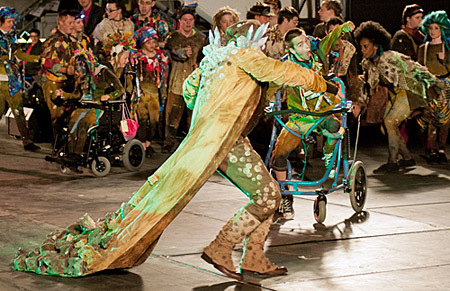 Find out more about some of the people and institutions blazing a trail to open up higher education in the performing arts to talented disabled young people. We encourage you to dream big! This resource is a fantastic signposting tool. The next step is up to you. Pick up the phone, send an email or visit an organisation.